RESTAURATEURS have raised serious concerns about the spate of robberies at Klang Valley eateries and the wellbeing of their customers. Malaysian Indian Restaurant Owners Association president Datuk R. Ramalingam Pillai and Selangor Indian Muslim Restaurant Owners Association adviser Mohamed Umar Peer Mohamed have urged the police to curb the rise in robberies at restaurants. Mohamad Umar: Even with CCTV recordings the police are unable to apprehend the suspects. “Our members have taken all the measures as advised by the authorities, which include close-circuit television (CCTV) cameras and getting our staff to be alert at all times. “But the police should solve the crimes quickly ,” said Ramalin-gam. He added that safety in public places and police foot patrols should be increased. “We cannot have just a patrol car go past the restaurant. Police should alight from the vehicle and walk along the row of shops and restaurants to make their presence known. “This will help keep the bad hats out of the area,” he said. He added that such robberies at restaurants would affect the business. 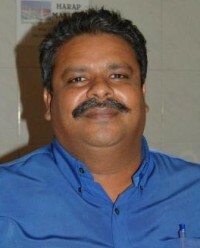 “We need police personnel in uniform to patrol the streets,” said Ramalingam. 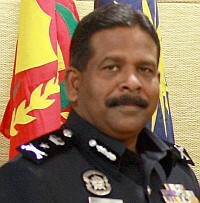 SAC Thaiveegan: The police are working doubly hard to build up intelligence that increase the chances of arrest. Mohamed Umar said he feared that cases of customers being robbed at restaurants in Petaling Jaya, Subang Jaya and Klang are getting worse. “Immediate measures are needed to improve security in urban locations where the public frequent. “Restaurateurs are spending so much on security and this is added costs for our members because the police are not up to the mark. “Even with CCTV recordings, the police are unable to apprehend the suspects,” he said. Selangor deputy police chief Senior Assistant Commissioner Datuk A. Thaiveegan said he was aware of the restaurant robberies and assured that the Selangor police were going all out to nab the criminals. “From January to October, we have arrested 7,000 for various offences and 70% are awaiting trial. “Most of them are back on the streets as the law allows them bail. And 96% are habitual offenders,” he said. SAC Thaiveegan said the Selangor police force was doing their utmost to manage recidivist characters. He added the police were working doubly hard to build up intelligence that increased the chances of arrest. “MyDistress is an application that can help to curb or even avert a crime that is in progress. “We need the cooperation from the public to fight crime,” said SAC Thaiveegan.